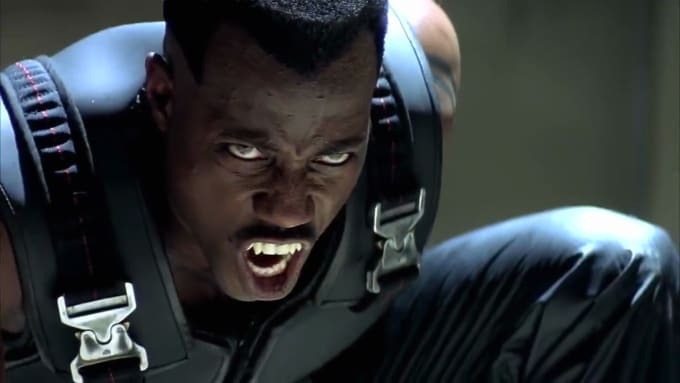 Real talk: there’s still a case to be made that Blade is the best Marvel Comics movie ever. Ok, so it doesn’t have all the shared universe stuff on Civil War or Winter Solider, but it does have Wesley Snipes looking sick whilst merking vampires. What more do you want? Snipes’ career hasn’t been quite at the same level recently as it was back in the 90s. Apart from being in Expendables 3 and Spike Lee’s Chi-Raq, he has mostly spent his time appearing in straight-to-DVD movies (when he’s not been incarcerated for tax evasion, that is). Marvel recently reacquired the rights to Blade, and seeing how well they relaunched Daredevil there’s been rumours that they could be doing the same with the vampire hunter. Ok, so this might just be Snipes wanting to go back to his past glories, like Schwarzenegger going back to The Terminator and Stallone to Rocky. There’s also no guarantee that it would be Snipes playing him even if they did bring him back (Sticky Fingaz already played him in the spin-off TV show that no one remembers). Still, Blades 1 & 2 are sick AF (Trinity less so), and we’d love to see him back wearing the fangs.